Now that summer is here, I've made my usual promise to myself to read more... for pleasure that is!! Everything in the summer should be for pleasure, don't you think? 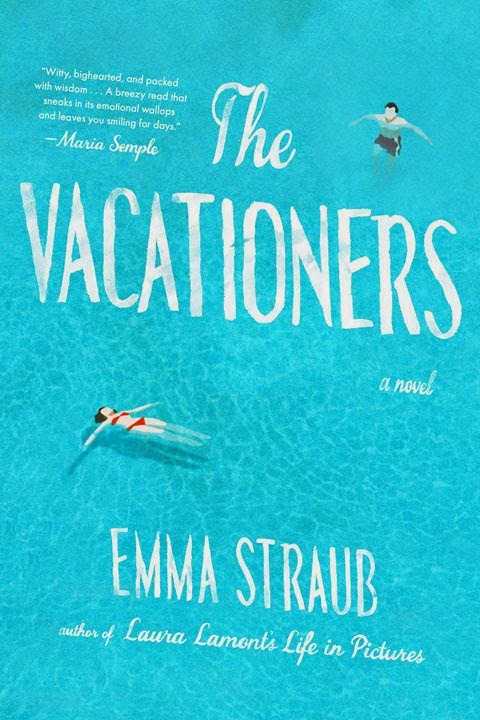 I first heard of this book while listening to the Dinner Party Download on NPR and I was immediately intrigued after listening to Ms. Straub read from her book. The dreamy book cover would have been enough for me but when I learned the story takes place in Mallorca, Spain, I had to grab a copy. If you rather lay by the pool and listen to the story, you are in luck because it is also available on audio. I went back and forth on that option because as much as I would like to curl up with a book, I also love listening to a good story while I relax at night and when the sun is too bright to read by the pool. And if you want to look the part of a vacationer, here's a little inspiration. You sold me too. I love a good recommendation and am an avid reader. You're right, summer reading is for pleasure and I can't wait to jump in. I always have a book on my Nook and one on my iPhone to listen to. I'm reading currently, Promise of a Pencil. FANTASTIC. I'm buying it for everybody for Christmas. So inspiring and well written. A treasure.